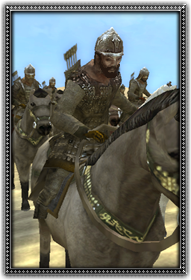 Also known as Ghoris, the Ghurids are a Sunni Muslim clan in eastern Persia known for their ferocity in battle. These men were from modern Afghanistan stretching westward as far as to Iran. Skilled, archers and riders, these warriors were feared for their strength and courage.